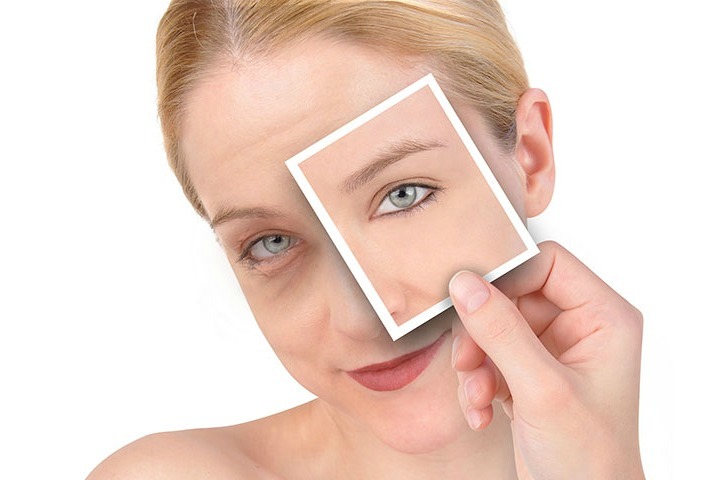 Puffiness, baggy appearances and dark circles under the eyes are all a result of stress, excessive working patterns in front of a computer or laptop screen, improper sleep patterns and lack of relaxation. All these factors have now become common due to the everyday slack in work and personal lives. A number of skin correction treatments that involve the use of chemicals, face masks and face scrubs promise to help reduce the appearance of dark circles and reduce puffiness, however, the most effective method is to use naturally available aromatic essential oils. You need to get few drops of this natural essential oil and add this with lemon oil. Use this combination to massage under your eyes before going to bed or sleep and also makes sure you have a comfortable pillow to support your head. Chamomile contains anti-inflammatory and anti-irritant properties that reduce swelling of eyes. This oil can be mixed with witch hazel that provides complete firmness to your eyes. Add two drops of the chamomile oil with witch hazel and then let that combination chill properly. Use a cotton ball to apply the cold mixture under your eyes that instantly help to remove puffiness under eyes. This oil helps to get rid of baggy eyes instantly and there are several emollient properties present in almond essential oil that gives you quick relief from skin inflammation and skin annoyance. You can massage under your eyes daily for two weeks with this oil to obtain positive results. Using rosemary essential oil helps you to remove shrinking tissue under your eyes easily. This oil has anti-inflammatory properties that help to decrease puffiness under your eyes. It helps to erase bags under your eyes. For using this oil you need to mix few drops of essential oil with one teaspoon of shea butter and massage under your eyes in a circular motion with your fingertips. This essential oil is effective and naturally helps to give you instant relief from the appearance of puffiness under your eyes. This natural oil provides hydrating effects and also restores your skin. This oil can be used on an infected area of eyes due to its great balancing properties. This is superb working essential oil that acts natural and removes dark circles under your eyes instantly. This oil rejuvenates nourishment to the region around your eyes. Applying this oil every day with massaging will help to get rid of puffy eyes. This great oil helps to tone your eyes and stimulate blood circulation further helping to eliminate any inflammation in your eyes. This oil is quite helpful to diminish bulge of your eyes and it works fast to eradicate the water accumulation under the eyes. This is a natural essential oil that has all curative properties and also it contains anti-inflammatory agents to treat bags under your eyes. Massage with this essential oil, also refreshes your skin and revives your eyes and make your eyes brighter and look fresh. Peppermint essential oil is the best to prevent puffiness of your eyes. This natural oil carries great amounts of antioxidants and other anti-inflammatory agents that protect your eyes from harsh UV rays and provides very soothing effects to your eyes. If there is a dark circle under your eyes and you are worried about it as you have used many products but still they did not work, then forget those all and only use peppermint essential oil that comforts your eyes by eliminating bags under your eyes. Essential oils are cost-effective and you can buy them online and in a number of health and beauty stores. Essential oils work like a wonder to treat any body and mind disturbances perfectly. Use of essential oils is natural and poses no side-effects. How to use Baking Soda for Dark Circles? 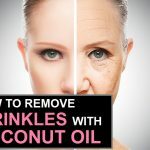 How to Remove Wrinkles with Coconut Oil?